Love the reflection and black and white. My kind of cup! It doesn't have to be washed. JP, wonderful reflection capture.. enjoy your tea.. Happy weekend! Wonderful photo. I like the black and white. I hope you have a great weekend. A nice black and white composition with your tea cup. Looks aren't everything. It's what's inside that counts. A little Celestial 'sleepy time' would be my choice. Great textures in your photo and I like the insider reflected look at the bulb. Great texture and reflection. I like your composition. The reflection attracts my attention first. That would be my coffee cup! 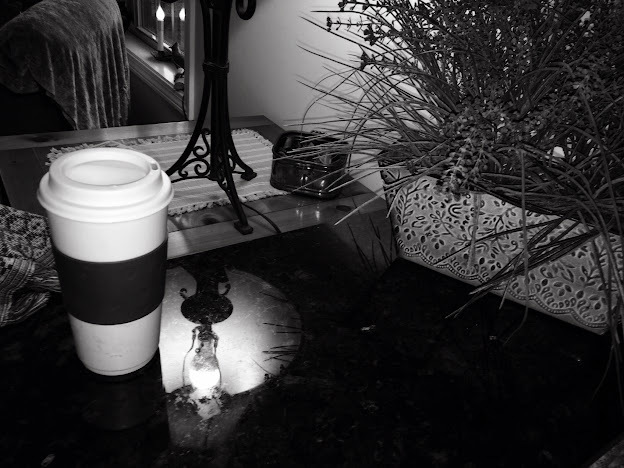 Creative bw 'tea shot' ~ love the light! Lovely image, the reflections give it a mysterious air!